When coverage of the royal baby started to escalate, people the world over got a little bit more British. Everyone had their eyes on the gossip rags for news of Kate Middleton's labor and word about the newest prince or princess, and when that boy arrived, wow, people were excited. But as a school-year resident in Edinburgh, Scotland, my thoughts are with Scottish opinion, and how their reaction to a new royal. The Scots have long been proud and vehemently anti-English; in fact, there's a referendum set for next year to discuss Scottish independence from the United Kingdom. So naturally, I assumed it would be a nation filled with ire at the thought of pouring more tax dollars into the opulent cash black hole that is the royal family. But I was wrong. The Scottish are, if my interviews say anything, the furthest from angry or bitter; they're apathetic. It's not acrimony, sadness or happiness — it's complete and utter lack of any feeling, which raises the question then, of who, exactly, is behind the baby-mania, if not the United Kingdom as a whole? Ross Foley, 21, from Edinburgh, echoed similar sentiments, "I suppose I enjoy the royals, more than I really support or endorse them. They're just an absurd monolith of anachronism, like Bruce Forsyth or Eton, but no less charming for the fact." He could literally be talking about Fawlty Towers, and the apathy doesn't end there. Claire McIntyre, 20, from Falkirk said, "Scottish people I know don't really feel connected to that kind of nationalism." And that's what it is: the royal baby matters much more to those outside of its jurisdiction than those within. Here in the States, the idea of a monarchy is as foreign as it gets. Princes and princesses and queens live in stories, not casual palaces in the nice part of town. We associate the British royals with the royalty of legend, and thus raise them further in our esteem than is perhaps necessary. But for Brits? The royals are a defining point, but they're also a huge expense, occasionally a hindrance. The royal wedding cost millions, if not billions, and that money all came directly out of programs the government has to support its citizens. That dress, the band, the whole hullabaloo looks different when you consider that such opulence might have taken food out of the hands of those who needed it, or raised taxes in an area that can't afford them. Add in a complete lack of regard for the family that's sucking up precious tax dollars and you have the cognitive dissonance the Scottish clearly feel in relation to "their" royals. Additionally, looking back through history, Scotland has never willingly agreed to be ruled by a British monarch. Until being thoroughly beaten by the English and thus coerced into the Acts of Union in 1707, the Scots were independent, culturally and otherwise, for the majority of British history. So shocker, a little Brit royal baby doesn't really do anything for them either way, it's just another thing they'll hear covered on BBC until they're blue in the face. I did, however, find someone who feels that ire I predicted. Jenny Bonnar, 20, from Glasgow, a vehement communist and full-blooded patriot, said, "I'm not indifferent to the royal baby or royal family. Instead, I actively resent them, even the unborn baby, which I know sounds terrible. I believe they represent every negative notion of Britishness; unfair class distinction, the idea of imperial Britain and they do not share a cultural identity with Scotland." 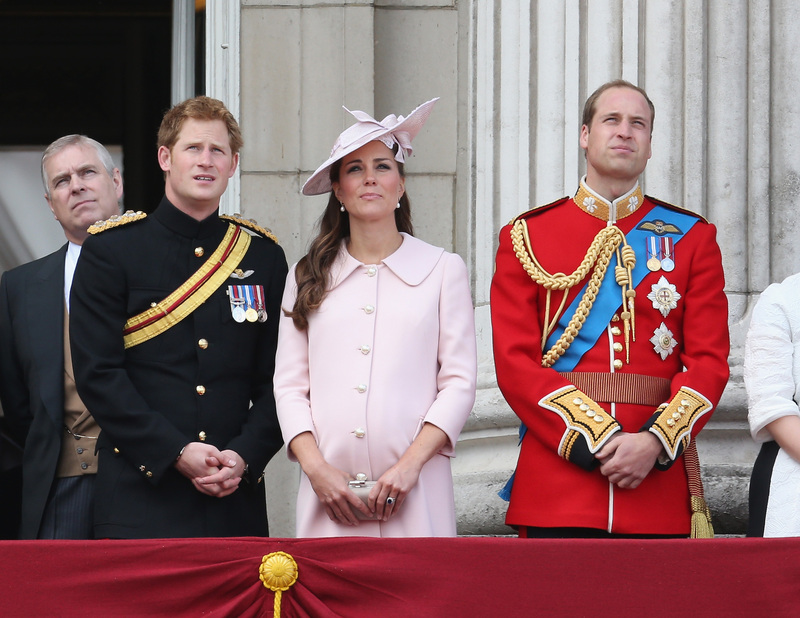 The only people who actually care deeply about the royal baby are those far enough removed to miss the hypocrisy of supporting a royal family.